Check it out, homies! AUD/USD is closely approaching a significant resistance level at the 1.0750 mark. In fact, that’s the top of the ascending triangle on the same time frame! The question is: Will resistance hold or fold? 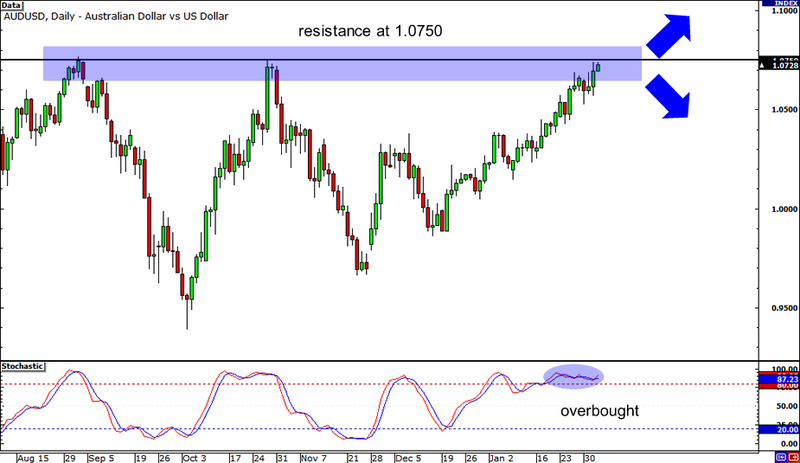 Stochastic is already deep in the overbought area, suggesting that Aussie bulls are running out of steam. If that happens, watch out for a potential drop to the 1.0500 level or lower. Of course, there’s still a chance of an upside breakout so make sure you set your stops right if you’re trading this one! 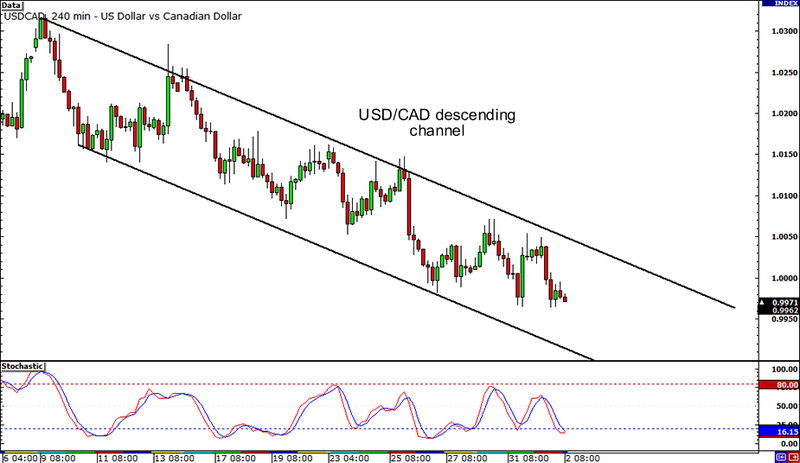 My my, I’m sure Happy Pip has her eye on this falling channel on USD/CAD. This pair just loves to move and groove inside channels, doesn’t it? The 1.0050 minor psychological level just acted as resistance for the pair as it was closely in line with the top of the channel, but the .9975 mark seems to be holding up as support. If that breaks, the next support area seems to be at the bottom of the channel, just a little below the .9950 level. 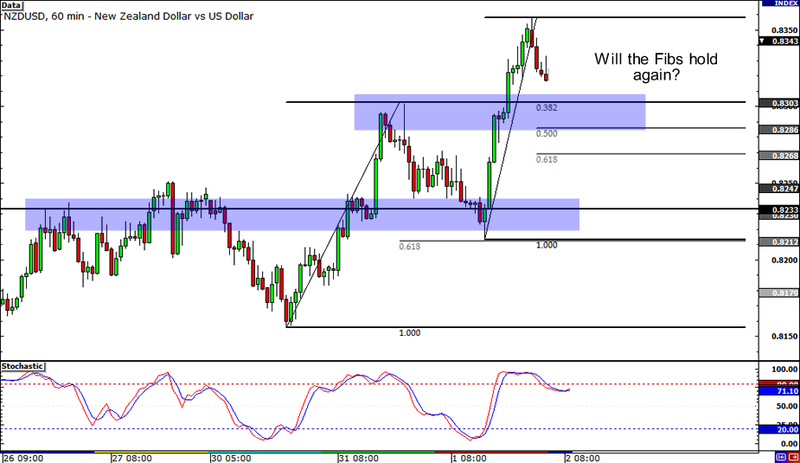 Here’s another potential retracement play with the Kiwi. After bouncing from the 61.8% Fib and former resistance level yesterday, NZD/USD seems to be gearing up for another pullback as it is currently edging towards the 38.2% Fibonacci retracement level. Now that lines up with the .8300 major psychological level, which means that it could act as strong support. Stochastic is still pointing downwards, suggesting that the pair could fall further, but the uptrend could resume if the Fibs stand strong!